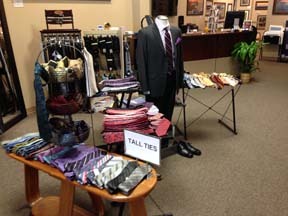 We offer fine men’s clothing from brands such as Joseph Aboud, S.Cohen, Calvin Klein, Tommy Bahama, Cutter & Buck, St. Croix, Enro & more! We offer personalized service that’s second to none. Come see our friendly staff at our stores in Kearney & Hastings, NE. 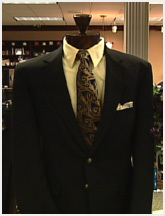 We look forward to serving your clothing needs. Our mission is to provide our customers with a complete selection of quality tailored clothing, accessories, sportswear and shoes, and to deliver an uncompromising level of service. We strive to build a functional wardrobe for our clients suited to their particular needs and desires, and to maintain it throughout the year, thereby maximizing its versatility. We have sizes for the big and tall customers. 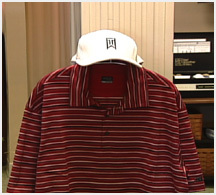 Gary Michael’s Clothiers of Hastings and Kearney can outfit you from the golf course to the office! When it comes to business casual, there’s no simple answer on how to dress. We all know how to dress casually. But dressing casually for business entails more that just throwing on a pair of khakis and a polo. Whether you are spending a relaxed weekend in the country or an active weekend in the city, Gary Michael’s Clothiers carries all the comfortable casual clothing you need for any activity. Monday – Friday 9:30 – 5:30 p.m.
Thursday – 9:30 – 8:00 p.m.
Saturday- 9:30 – 4:00 p.m.